thoughts & happenings: A whale then a Island. A whale then a Island. 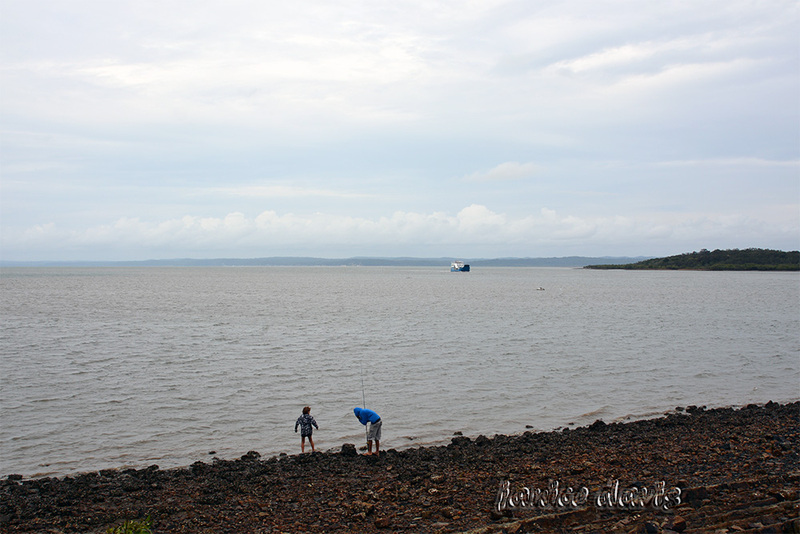 Driving around Hervey Bay we came across a well kept area with a whale! Hervey Bay is a good place to catch a boat to see the whales in the 'season'. Photo taken of the whale with my phone camera. 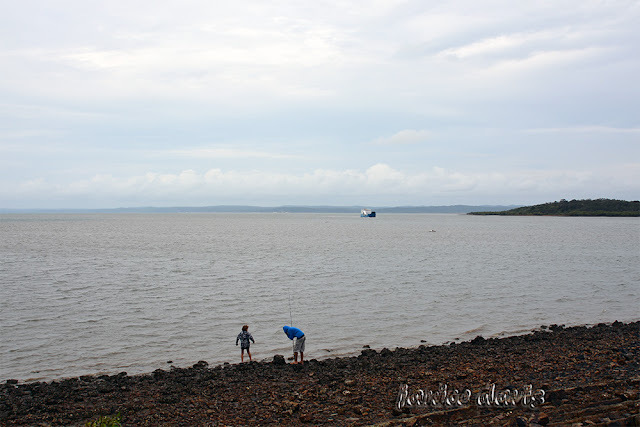 On the rainy day that we headed to Maryborough we found another place - where you catch the ferry to go to Fraser Island - never want to go there, it's sand and sand dunes, more for the adventurous perhaps. Fraser Island, off Australia’s eastern Queensland coast, is the world's largest sand island, stretching over 120km. Panoramic viewpoints include Indian Head, a rocky outcrop on the island's easternmost tip, and the Cathedrals, a cliff famous for sculpted ribbons of coloured sand. It's a camping and ecotourism destination, with beaches and swimming sites at Lake McKenzie, Lake Wabby and other freshwater pools. Waiting for the ferry from Fraser Island. The an Ambulance driving on-board. 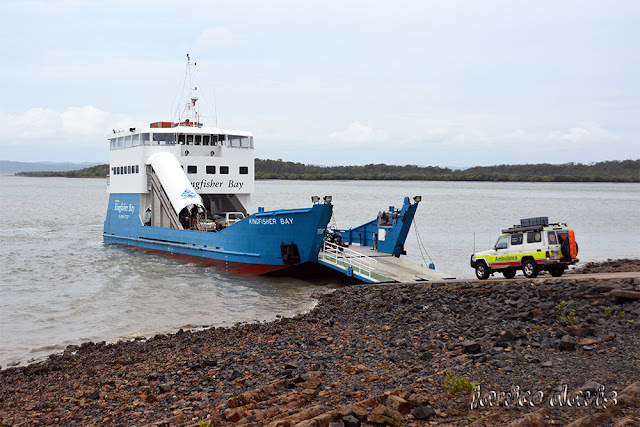 There is no Doctor on Fraser Island unless one is visiting. There are a few supplies on the Island and some accommodation places. I saw a croc or alligator once in SC. But he was about 1000 feet away or more in the river. I was on a walk-through bridge. They are ever so huge either of them. In SC?? That's way too close. That whale is a spectacular piece of sculpture. The whale looks like it's made of small pieces of wood - I must see if I can't find out...the silver part don't know what that is made of Rosemary. So lovely, different signs, especially the last warning. Do you see often crocodiles in the water? The ferry is always nice. We have some small ferries in archipelago, but I rarely drive there. Have never seen a crocodile in that area in the rivers or sea. Have seen though in some areas of Australia in the river. What a great figure of the whale. Fantastic!! It is beautiful how it was made. Beautiful sculpture of the whale. Magic to see that sculpture, walked around it many times. Nice whale sculpture. I think I would like to visit Fraser Island. I'm sure you would enjoy, there are many photos on the net of the Island. Love the whale. Going on a whale watching tour is high on my bucket list. I suspect I will do it closer to home though. It sure a different world then Northwest part of the United States. I haven't yet seen a whale and I love riding on ferries. You should enjoy both seeing whales and being on that ferry. Have seen whales from shore across the Nallarbor which is across the bottom of Australia - where the bite is. Most people that I've talked to love Fraser Island. the bloody stingers in the waters!!!! down and leave you stranded there. Not and never will be on my'BUCKET LIST". Not my cup of tea is Fraser Island, can't imagine driving around on sand dunes and sand most of the day. Probably lovely scenery though. Wow---- that's some whale! And I love that ferry! Awesome whale. The ferry takes several vehicles at a time - we watched them unload and load up again. Oh yes, signs for us to read and I wonder how many people do read them - I know my husband isn't good at reading signs. It's certainly different and something I didn't expect to see. 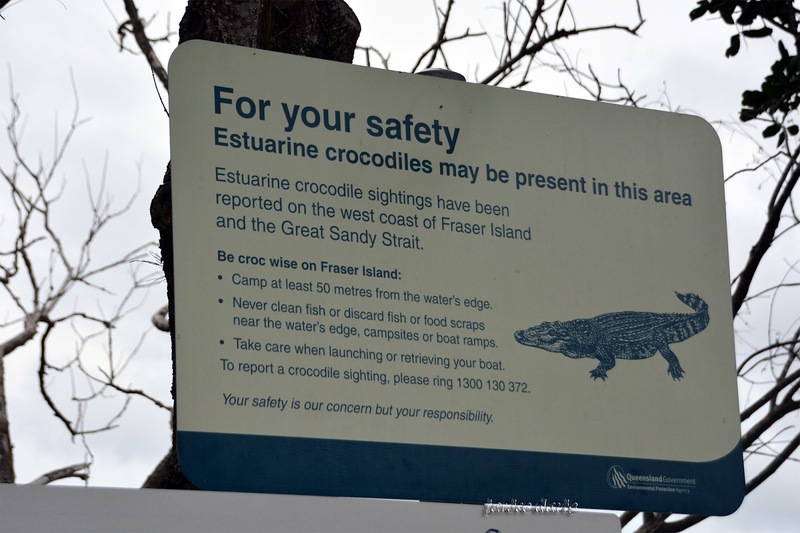 Fraser Island doesn't sound like a fun place with the dingoes and crocs and probably box jellyfish too. makes me wonder why anyone goes there. Fraser Island doesn't appeal to us either River, but it's very popular with many. It sure is, a lovely piece of artwork. 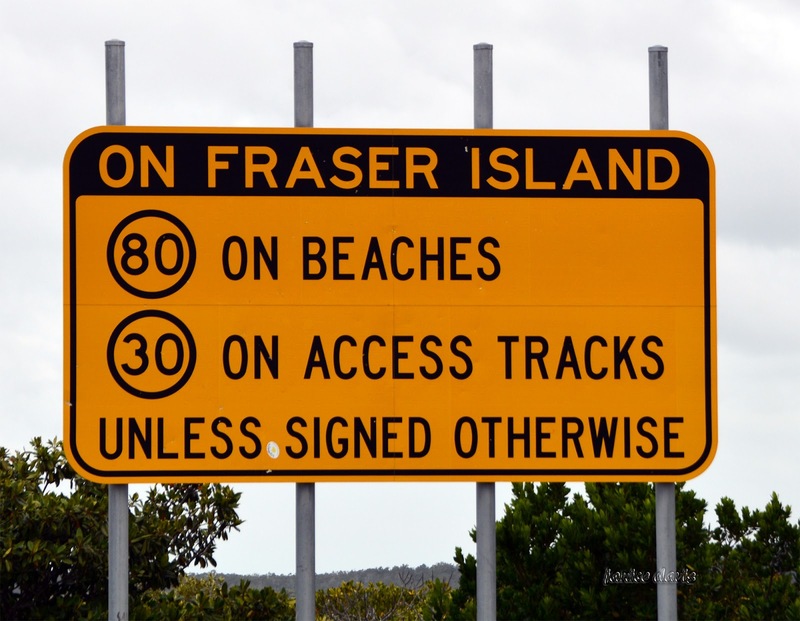 Fraser Island would be interesting many find it fun. Interesting group of photos Margaret. I am impressed with the the first one of the whale. That is something I would like to see in person. It's very big that whale and different to most sculptures. 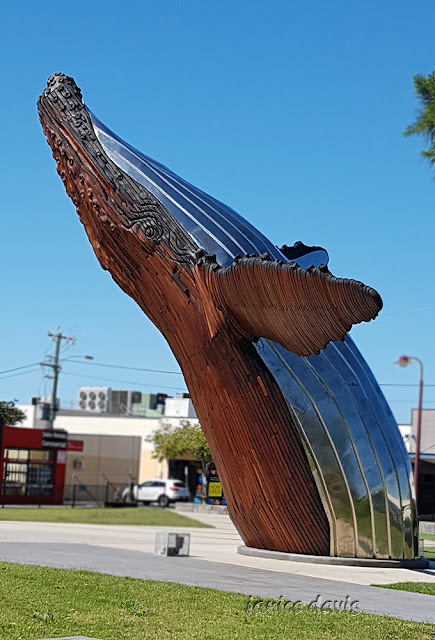 I love your photo of the whale sculpture! Fraser Island seems like a dangerous place to camp so not for me!! Think you would be fairly safe as there are designated areas to camp. What color is the sand? Sand by the sea - the colour is normal, you can see it in some of my photos. Interesting when seeing a croc, they are so prehistoric looking. Fraser is one of my most least favourite places. My ex's aunty lived at Happy Valley on the eastern side of the island for nine years and we used to visit her often, staying for a few days each time. Even though we never "roughed" it, because she had her home there, with all mod cons...the island, for whatever strange reason, always gave me the creeps. Just me....no one else felt what I felt. 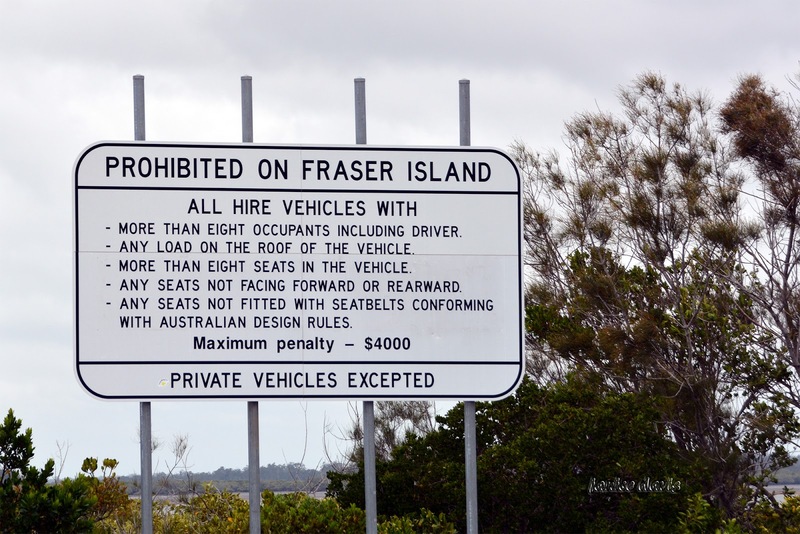 I know it's a beautiful place with many, many wonderful natural attractions, but somehow Fraser Island and I just don't get along. Crazy, isn't it? Every time I drove along the Marlborough stretch of the Bruce Highway, I'd get a similar creepy feeling. And similar occurred when I visited a place called Poona one time after I'd returned to Gympie to live and work in 1999. Poona is on the mainland, On the road to Tin Can Bay from Gympie, you turn off to the left to get to the beachside area of Poona. It's fringed by the Great Sandy Strait and Fraser Island can be seen in the near distance; but I couldn't get out of the place quick enough! I never went back; and yet, I like Tin Can Bay. Just one of those unexplainable things, I guess. That is weird Lee, but there would be a reason, as it's said, there is always a reason for those feelings. My oh my - that whale sculpture is amazing, great photograph. As the sun goes down! The Church that was closed on Sunday!